Enter your email if you'd also like to be subscribed to our emails. We will send you a confirmation. Pre-Order your free 144 page Reddiseals Catalogue Today for April Delivery! 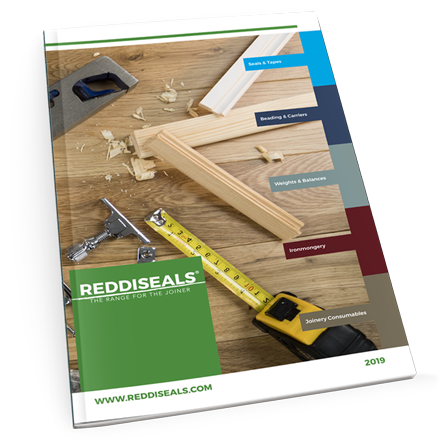 Our new catalogue is full of new products and old favourites for all your joinery needs. Simply fill in the form and we’ll get the catalogue in the post to you! What is wood polymer composite? Your Shopping Basket will be saved with Product pictures and information, and Cart Totals. Then send it to yourself, or a friend, with a link to retrieve it at any time.